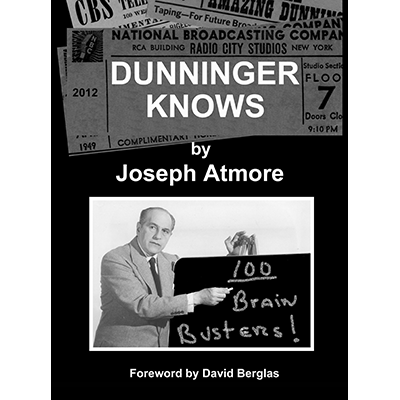 " This book is the result of years of passionate research, giving us an insight into the life and of Dunninger. Most of these anecdotes would have been lost to our history without Joe Atmore's meticulous work. This is a rare opportunity to get inside the mind of Dunninger."